If you are a truck driver, getting a Charlotte traffic ticket can be more serious than you think. Not only could you face a jail sentence and large fine, but you could be jeopardizing your commercial driver’s license (CDL) and your ability to work as a trucker. In addition, your employer could have a rule about terminating its drivers for traffic violations. However, an experienced traffic attorney can help you avoid these harsh consequences. What Is Required to Obtain a Commercial License in North Carolina? Meet the requirements for a driver’s license in North Carolina and have proof of your residence and two pieces of identification. Provide proof of liability insurance for the vehicle you plan to drive. Certify with the North Carolina Department of Transportation (DOT) that you have a clean driving record. Provide a valid Medical Examiner’s Certificate certifying that you are medically fit to drive a truck. Take a written driver test. Take a driving skills test. Pay the fee for a commercial driver’s license. If a trucker commits many traffic violations, North Carolina law allows double the amount of any fine or other penalty. In addition, a truck driver can lose his license temporarily or permanently for certain offenses. How long a person would have his CDL suspended would depend on whether the violation is classified as major or serious. 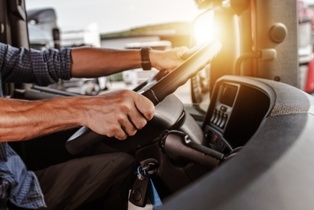 In addition, a CDL will be suspended for life for using any vehicle in the commission of a felony involving the manufacturing, distributing, or dispensing a controlled substance. Our experienced traffic attorneys at Browning & Long, PLLC are here to help you build a strong defense to your Charlotte traffic ticket so that your ticket is dismissed or reduced to a less serious violation that will not affect your CDL. To learn more about what we can do to help, start an online chat to schedule your free initial consultation.